The Cuomo Centre for Paediatric Cardiology in Dakar, a brand-new building of 2,500 m2 fitted with state-of-the-art equipment, has become operational a year and a half after the first stone was laid. 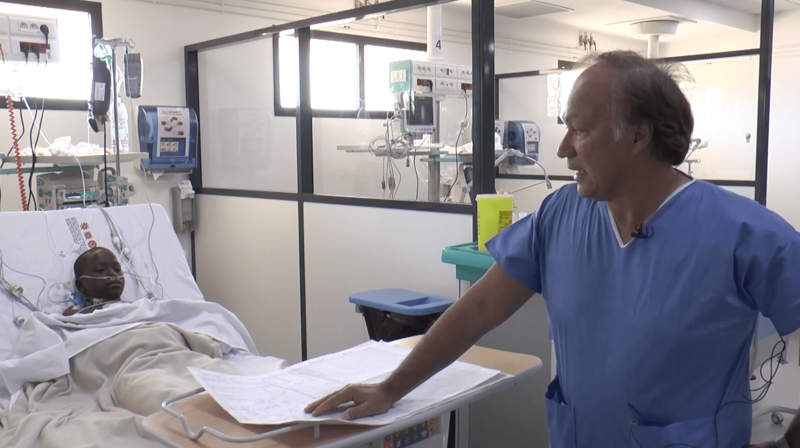 Medical and operational support teams are working hard to complete the final test phases prior to the first open-heart surgeries on children selected since the opening of consultations last November according to the severity of their condition. A full team of 12 people from Toulouse headed by Dr Gérard Babatasi, cardiac surgeon at Caen university hospital (CHU), will be present during the whole month of January to accompany their Senegalese colleagues, who underwent 6 months of intensive training in Vietnam. Professor Alain Deloche and Mrs Elena Cuomo, chairwoman of the Cuomo Foundation, will be attending the first surgeries. Partners have agreed on an ambitious objective of 500 open-heart surgeries every year after a progressive increase in capacity over 5 years. They also wish to be able to help neighbouring countries like Mali and Burkina Faso. This centre is an example of tripartite cooperation. Located within the Fann National Teaching Hospital in Dakar, it has been launched thanks to the political determination of the Senegalese Health Minister, the Fann National Teaching Hospital of Dakar and the medical commitment of the humanitarian organisation La Chaîne de l’Espoir. The substantial commitment of the Cuomo Foundation with an investment of 6 million euros greatly contributed to its creation. More than 30,000 children are estimated to suffer from a severe heart defect in Senegal. Waiting lists including several thousand children have currently not received any adequate therapeutic response.